If there’s one occasion where you want to push the boat out and create a truly memorable experience that lingers in the mind forever, it’s your wedding day. More and more couples nowadays are looking for luxury wedding experiences that are not only out of the ordinary but out of this world and having a Luxury Wedding in Morocco will help you achieve the unthinkable. If you ask any high end wedding planner, for exotic wedding destinations, a Luxury Wedding in Morocco currently sits high up on their favourite list of places to organise the ceremony and celebrations. Why? It’s a magical, exclusive and exotic location for a wedding. Steeped in history and combining perfect weather with a remarkable local culture, you’ll quickly be transported to a mystical world where anything can happen. 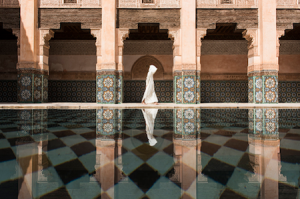 Whether you’re planning a beach wedding on Morocco’s Atlantic coast or want to sample the delights of a Parisian style city like Marrakech, this luxury destination has everything – excellent hotels, friendly people and beautiful locations. Morocco might seem a long way to go for a wedding but it’s only 8 miles off the coast of Gibraltar. While the capital of Morocco is Rabat, the biggest and most well-known city is Casablanca. Head to the Norther Rif region and you’ll find one of the biggest marijuana growing regions of the world. Morocco also has one other big area of export – sardines – processing some 600,000 tonnes a year. Apparently Moroccans don’t see the heart as the centre of love – it’s the liver. The national dish of Morocco is couscous or seksous and is usually served with a stew of either meat or vegetables. The oldest city in the country is thought to be Tangiers where people have been living for the last 3,600 years. The biggest market can be found in Marrakech – be careful though, the literal translation of Jemaa el Fna is ‘assembly of the dead’. Morocco has been a haven for many famous American writers over the years, particularly during the 1950s and 60s with Jack Kerouac and Allen Ginsberg among the most notable. It’s also been used as the background to some famous films including Gladiator and Lawrence of Arabia. 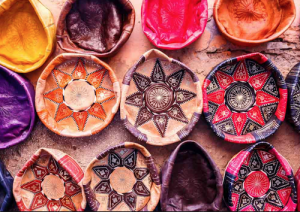 Often considered the gateway to Africa, Morocco is just a short ferry ride across the Gibraltar Straits and only a few hours away by plane from major cities like Paris and London. There have been settlements in the country for over 400,000 years. When you step into this part of the world, you jumping into a spiritual world where ancient history and modern luxury combine seamlessly. 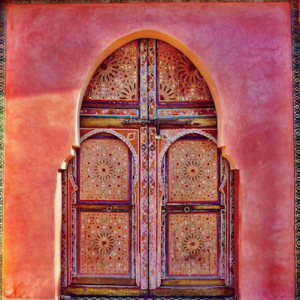 From the heart and heat of the Sahara Dessert and the impressive Atlas Mountains, brightly painted doors to the almost pristine sandy beaches, Morocco will never cease to surprise you. With a population of over 33 million, this is a country that has been deeply influenced by its history, from the early Islamic settlers, to the Berbers and French and Spanish protectorates to eventual independence in the 1960s. 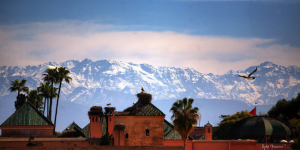 In recent times, Morocco has become a huge tourist destination, attracting 10 million people in 2013 alone. 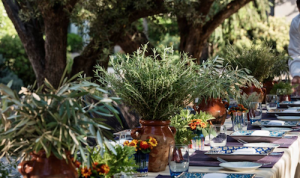 The local residents have certainly raised their game, particularly when it comes to organising luxury wedding events in exciting cities like Marrakech, Casablanca and Tangiers. With so many influences, you can expect Morocco to deliver a huge amount of culture to sate even the most ferocious appetite. Whether you want to sit and watch the people go by at one of the local street cafes or settle into one of the country’s many luxury hotels, there’s plenty to see and do. The great news is that there a fine and brilliant mix of the exotic and the contemporary that makes it the perfect location for a luxury wedding. B’ssara, a broad bean soup served with freshly baked bread. Fish chermoula, a marinade dish that is grilled over hot coals. Kefta tagine is a stew with minced lamb or beef with balls of cinnamon and coriander. Makouda is brilliant street food found in Marrakech – it’s worth visiting here just for the range of smells and variety of culinary delights on offer. Finding the right Moroccan wedding venue for your big day is only problematic in that there is so much choice, most of it exceptional. 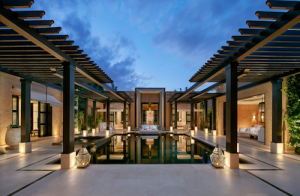 All major cities have luxury locations that cater for wedding parties and there are a host of villas around the country that you can also factor into your plans. To help make up your mind, here’s our list of the most exciting options. There’s nothing more romantic than a beach wedding. 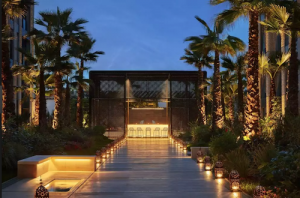 The fact that Morocco faces both the Mediterranean as well as the Atlantic, means you have plenty of options but the best are on the Western side where you’ll find many luxury resorts. 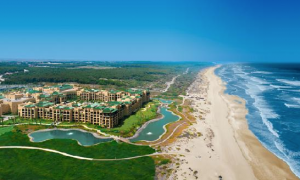 This beach and golf resort on the edge of the Atlantic is the height of magnificence and splendour. There are wide range of rooms and suites along with lots of amenities, including a casino, spa and nightclub. The accommodation varies in size up to the Royal Hotel Suite which covers over 350 square metres – plenty of room and opulence to keep you happy. There’s a large wedding reception venue and everything you need for the ceremony as well as the celebrations afterwards. Cost of rooms start at around £150 to £200 a night. This is a large hotel resort with more than enough room for all your guests and facilities can certainly cope with groups up to 1,000. Part of the Sofitel international range of hotels and resorts, this is the perfect place for a wedding celebration particularly with its huge and dramatic rose garden. 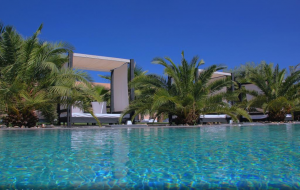 This is a modern looking hotel on the coast near Rabat and caters for weddings all year round. The Banquet Hall and other amenities can all be hired and the hotel offers its own professional, in house wedding planning. Cost per room for a night is around £150 and again it’s a large complex, so there’s no issue about finding space for all your guests. The perfect place for sitting and watching the sunset of an evening, this hotel is typically Moroccan. Whether you want to relax by the blue lagoon or get some personal attention at the local spa, this is the perfect wedding venue if you want something intimate. Prices range up to £283 for the night but vary depending whether you’re going in low or high season. Because of the smaller size, you may want to contact first to see if they can take all your party. Made famous by the film of the same name, Casablanca is a thriving metropolis and the perfect location for holding any wedding. It’s a brash mix of the historic and new but always seems to exude a sense of romance that attracts couples from all around the world. A premier name in hotels, the Four Seasons is the perfect place in the perfect location. If you love romance and history, Casablanca is perfect but it’s a city that offers so much more than that. With amazing ocean views across the Atlantic and plenty to see around the city, this one location you’ll absolutely adore. You can hire the hotel’s wedding planner or organise your own event at the Four Seasons, either way you won’t lack for resources and options. Standard rooms cost between £150 and £250 a night and they cater to many large wedding parties from all around the world during the year. A hangover from French colonization, this small luxury venue has a good mix of character and chic that is suitable for wedding guests who something a more local feel. 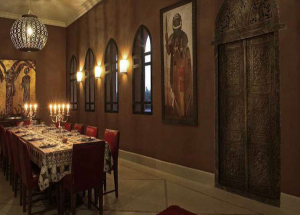 The venue can cope with up to 1,000 guests and serves a mix of traditional French and Moroccan dishes. More popular with French nationals and locals than other Western wedding parties, it’s still one to check out if you have a lot of guests. Prices are available on request. 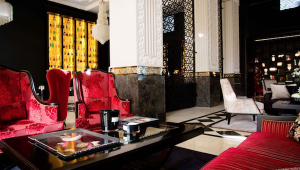 One of the most famous venues in the heart of Casablanca, the wedding suite overlooks a thriving city and has all the comforts of home. The style is a mix of historic chic and modern, uncluttered architecture. The hotel has no less than four bars and restaurants and the staff can create a customised luxury wedding to fit in perfectly with your dreams. Room costs vary between £150 and £200 for a night and there’s plenty of room even for the largest parties. A Marrakech wedding package will certainly be top of your list if you want to celebrate that special union in style. The city is one of the most vibrant and historic in the region and certainly worth a visit if you want a memorable location with plenty to see and do. The good news is there are several luxury hotels and high quality venues that can cater to your exact needs. It might sound ghostly but this is actually one of the most prestigious wedding locations in the country. 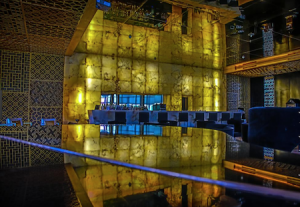 The building harks back to a bygone age of opulent design and decadent behaviour. It’s a brilliant location for your luxury wedding and the team at the hotel can help organise everything you could need, including professional photography and video on the day. 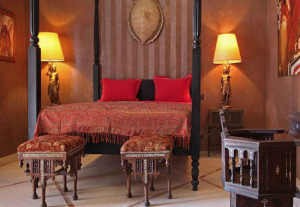 Boutique hotels are becoming a lot more popular, even in locations such as Marrakech. Situated right on the water’s edge this is a sublime place to relax and enjoy a beautiful and memorable wedding and honeymoon. With costs varying between £120 and £250 per night there may be less room for large parties but it could well be the venue you’re looking for. 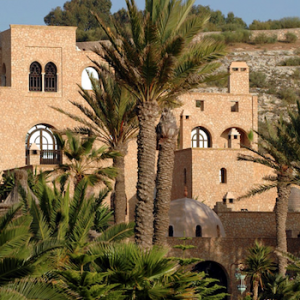 If you want hotel that oozes the essence of Morocco, this is the place. From the palm tree lined swimming pool to the elegant and beautifully designed rooms, it’s the ideal romantic location for a wedding. In many ways, walking into the Tigmiza is like being transported into a totally different world. Whether you want to dine by the poolside or discover authentic food in the Lallati Restaurant, there’s more than you could ever hope for. Rooms cost between £150 and £200 and The Bride’s Tower is the ideal location for a wedding reception. 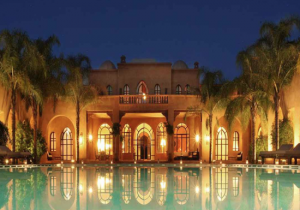 Like its sister hotel in Casablanca, the one in Marrakech will not disappoint. From the Moorish gardens and outdoor pool to the onsite boutique and spa, there is every amenity your wedding party requires and more. This is a concierge hotel that delivers in spades and has plenty of capacity and enthusiasm for your big day. Expect to pay up to £200 per night for room. The venue itself can take 700 for a reception and offers 139 guest rooms. You might find it strange to discover the neat, minimalist lines of oriental architecture in the heart of a thriving city like Marrakech but it actually works. The Oriental offers a range of beautifully designed rooms and suites with the Atlas Mountains as a sublime backdrop. Romance and excitement are certainly guaranteed to bloom when you organise your wedding here. A mix of suites and villas, the cost of rooms is around £150 to £250 per night and weddings can be organised directly with the hotel. They have three function rooms and are easily able to cater for 1,000 guests. If you hanker for something a little smaller but no less opulent, this hotel may well fit the bill. 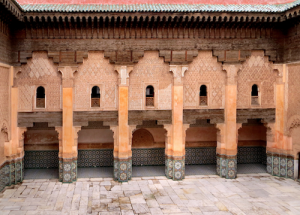 The typically Moroccan architecture and more intimate style is perfect for small to medium size wedding parties. Great food, an onsite spa and all the other amenities you might expect from a five star hotel, there’s plenty of scope for an amazing wedding celebration that lives long in the memory. The cost per room can vary between £350 and £450 per day and the staff will work with you every step of the way to organise your wedding event. You don’t have to think about traditional hotels when you are organising a luxury Moroccan wedding. There are plenty of wedding villas that can actually give you great scope if you want something more personal and meaningful. 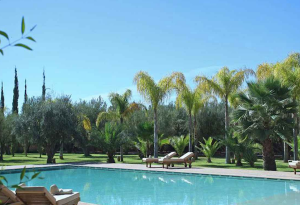 Quiet and intimate, this villa on the edge of Marrakesh is an excellent choice for small parties who want a personal experience with close friends and family. Cost is around £100 per person per night at low season but rises considerably during peak times. Another luxury villa in the heart of a vibrant city, there’s a distinctly tropical feel to the location and again there’s plenty of peace and quiet. It’s great for relaxing and taking in the sun once you finished those hectic wedding celebrations. The rooms can be a little more expensive because of the exclusivity at £1,902 per night at peak times but the extra cost is well worth it. 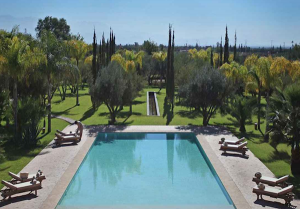 A quick drive from the centre of Marrakech, you’ll be certain to get that important personal touch from the staff at Villa Dinari. They have the ideal venue for small and medium size wedding parties with added entertainment provided by your own DJ and the odd belly dancer or two. There’s only eleven bedrooms and exclusive use of all these will set you back £1,330 a night. This elegant Villa Marrak is an interesting little gem with bounds to offer a small destination wedding couple. Set in a private garden spanning over 2 hectares with rolling landscapes and sculpted trees, The villa holds a wealth of potential, interesting nocks and crannies full to the brim with colourful textiles, terracotta arches, bright interiors, large swimming pool and attendant staff who can look after all your needs. 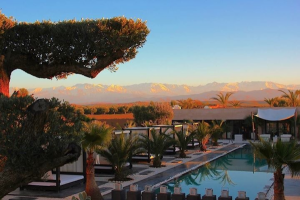 Just a short drive outside Marrakesh, this is a hot little destination for any small destination wedding or for small wedding parties. With a sleeping capacity of 14 and an ideal location for a small wedding party of 50-150. An average weekly rate of this luxury villa comes at about £6400 -£7200, it’s the ideal place for small parties who want to be personally pampered during their stay. 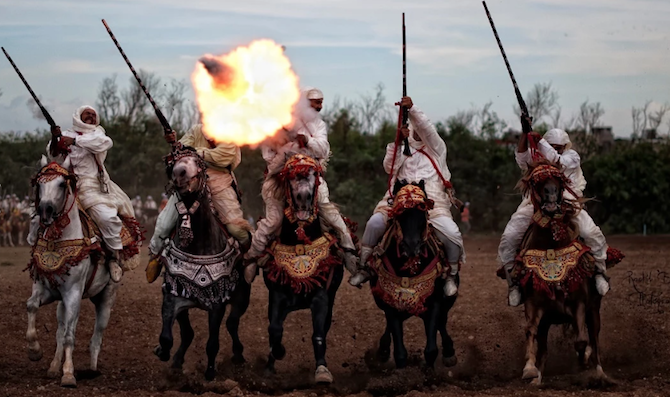 The average cost of a wedding in Morocco for locals is around $20,000 so you can expect to spend more for your party, bearing in mind you have to take into account the cost of the hotel, hiring the wedding venue and all the festivities that follow. Much will depend on the location you choose and, as we all know, there’s really no such thing as an average wedding. 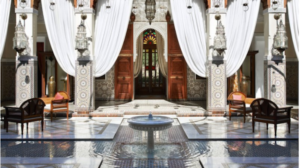 If you’re heading to a romantic riad or villa you can expect the initial cost to be £4,000. Hiring a luxury hotel resort can bump up the price to around £45,000, especially if you want everything included. Of course, you need to get round to organising a lot of things for your luxury wedding, not just the food and location, and it’s not easy when you’re abroad. The good news is that many of the venues have their own wedding planners on site. In this case it may be best to choose a French speaking wedding planner who can liaise easily with all the vendors in Morocco. Bearing in mind that French is the language that is predominantly spoken throughout Morocco. If you’re having a Luxury Wedding in Morocco or perhaps even choosing an exotic destination like Morocco, you might like to consider these extraordinary Moroccan inspired wedding invitations from Crimson Letters – hand painted and containing beautiful calligraphy, they’re the perfect choice for any luxury wedding. These wedding invitations are designed especially for a stylish, yet refined wedding without taking away from your big day and being too loud or too brash. 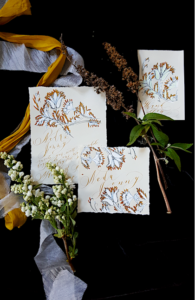 Adorned with hand painted details, flowing antique gold calligraphy, gold dabs of paint lovingly applied by hand and an exclusively made bespoke envelope to wrap your wedding invitations up in style. Why settle for normal envelopes when you can have bespoke made, hand torn edged envelopes embellished with antique gold calligraphy. 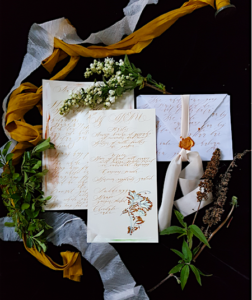 Your favourite love poem or special vows could be written upon vellum envelopes for all your guests to enjoy. Of course, sealing the envelope with a silk ribbon and a wax seal is a must! Your chosen details and carefully selected designs can be easily woven throughout your entire Moroccan Inspired Wedding Invitations seamlessly. 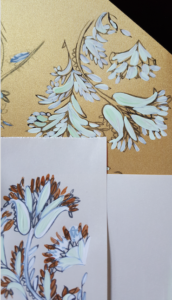 As you can see, above the same flower is used upon the menu (above) and (below) throughout the entire suite along with gold hand calligraphy. Looking for more Moroccan Inspired Wedding Invitation inspiration, try visiting this chic, romantic style shoot at Green Wedding Shoes wedding blog. It is simply dripping with inspiration. For something much more colourful and vibrant visit this style shoot. Another luxury wedding in Morocco, that is a high end affair, which took place in Morocco, you must visit this. To see more wedding invitations see the full collection.